2.3.2016: Reliance industries chairman topped the Forbes 2016 Indian billionaires in world’s richest people’s list. He is ranked 36th among world billionaires. Bill Gates again topped the list and I followed by Amancio Ortega and the third is warren Buffet. 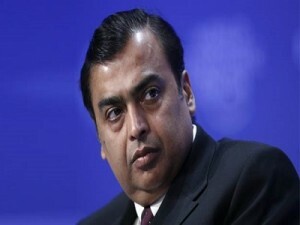 Net worth of Mukesh Ambani is $19.3 billion . There are 540 billionaires in the list from United States and 251 from China. India’s 84 billionaires are on the list and 77 are from Russia. Eight of the 84 billionaires are new and Binnay Bansal and Sachin Bansal, the cofounders of Flipkart are included. 2.3.2016: Mohanroop, the film director of Malayalam breathed his last on 1st March. Mohanroop was 56. His first film Vettah was released in 1984 and created records. Vettah featured Mammootty and Mohanlal together, the only film in which the present superstars acted together. 2.3.2016: Savitri Jindal is among the five Indian women who are in the Forbes world’s richest peoples list. There are 190 women billionaires in the list. Savitri Jindal, Indus Jain, Smita Crishna Godrej, Leena Tewari were also in the list. Savitri Jindal’s fortune is USD 10 Billions. Total number of women declined from last year, it is said. 2.3.2016: Basanta Bahadur Singh Rana won gold medal in 50 km race walk even in National Championships. The 50km race walk was completed by Rana in 4 hours 7 minutes 24 seconds. Chandan Singh of Uttarakhand finished second to win the silver and Jitender Singh Rathore of Rajasthan won the bronze medal. 2.3.2016:International Cricket Council banned South African spinner Aaron Phansigo for illegal bowling action. He was playing for Highveld Lions in a domestic competition and was reported by umpires in the match. His bowing action level of tolerance permitted and is found illegal, said International cricket council. This entry was posted in Current Affairs, News on March 3, 2016 by Rakesh.